Shortly after Nicole adopted one of Social Light’s mascots, Tesla, from K-9 LifeSavers, we dove into our first nonprofit social media campaign. 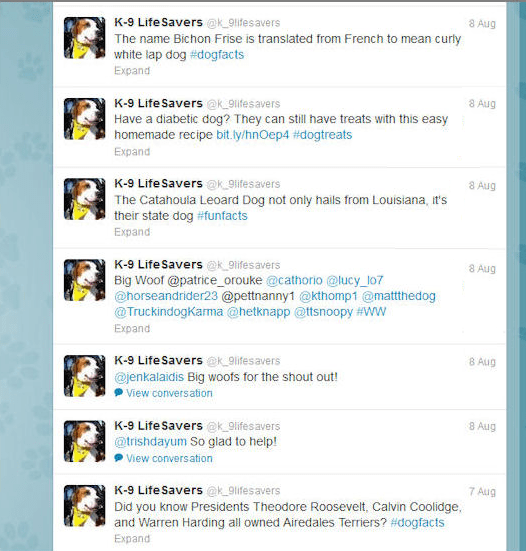 K-9 LifeSavers had a Facebook page, in fact they had three, but they lacked a clear strategy to their social marketing efforts. 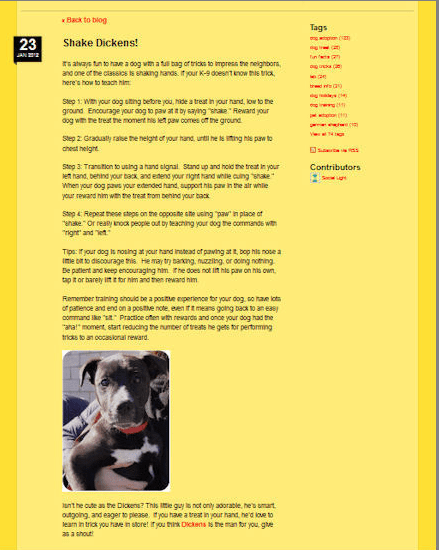 We helped this rescue group bring some clarity to their efforts by establishing a content strategy that would appeal to all dog lovers allowing a greater number of people to stay connected for a longer period of time. 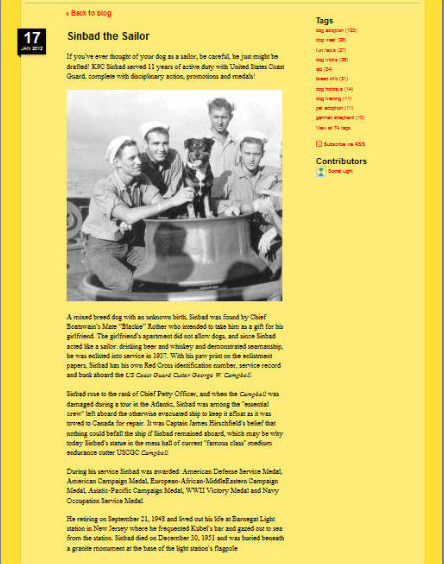 Blog content was the anchor for this nonprofit social media strategy and included recipes for homemade dog treats, training tips, blog posts on the history of breeds and famous dogs. 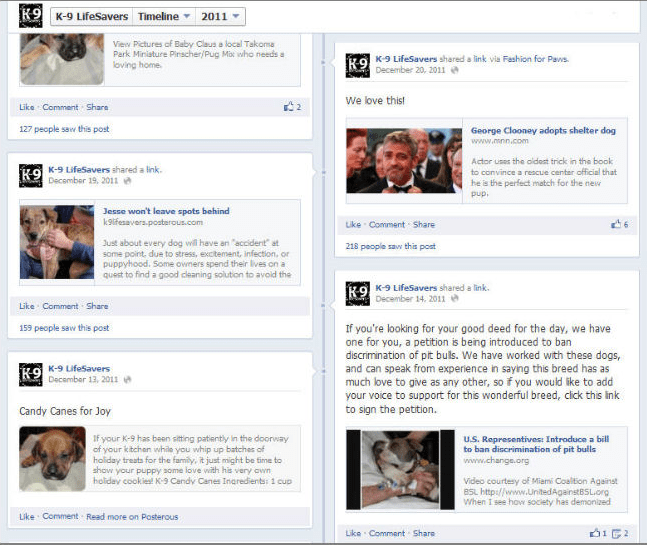 Facebook activity soared through active engagement of new K-9 parents. 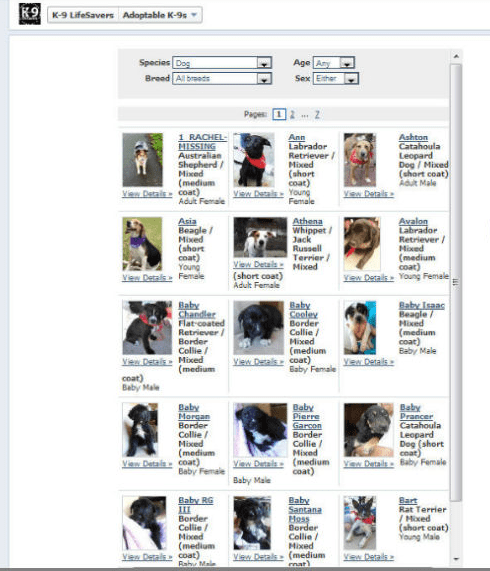 Families stayed in touch posting updates and pictures of their adoptive dogs. 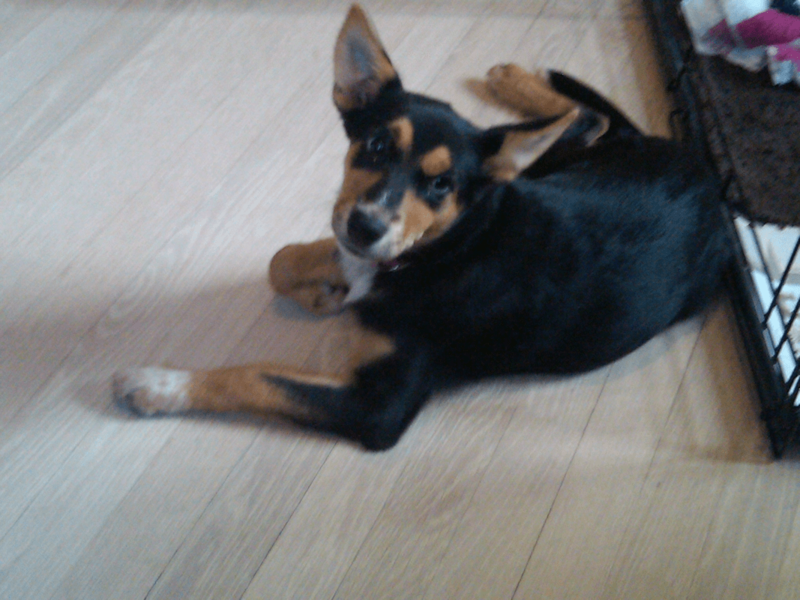 Every post included an adoptable dog, combining interesting tips with an adorable face. Twitter engagement was off the charts through discussions with dog lovers and proactive outreach with other dog-centric organizations. At Social Light we’re proud to support this wonderful organization and were happy to execute this nonprofit social media campaign pro bono. We hope you’ll also show your support for the pups! If you live in the DC Metro area and are considering a K-9 addition to your family, please consider adopting from K-9 LifeSavers!